Hurry, Hurry! Don't Miss Monif C.'s End Of Season Sale! Hurry! Don’t Miss Monif C.’s End Of Season Sale! Looking for a great sale? 50% Off Everything! You saw that right… Monif C. is having an end of the season clearance you definitely can’t miss! Well ladies, summer is coming to an end, meaning sales are starting! Time to grab your purses and make some space in your wardrobe because one of our favorite plus size designers Monif C.‘s end of the season clearance sale is here! 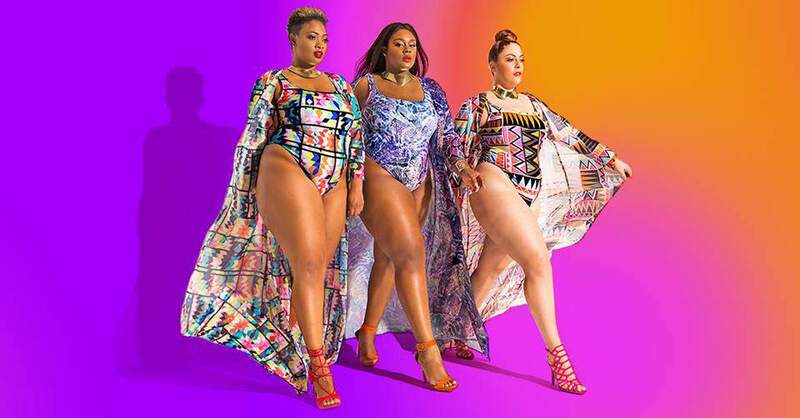 For those who don’t know about Monif C. (I’m not judging if you don’t know), they offer super trendy plus size dresses, jumpsuits and swimwear. They design and offer a wide selection of plus size fashion to fit every curve of the plus size woman’s lifestyle. From form fitting dresses, to bold and playful swimwear, they have the perfect choices to be stylish and on-trend. As for the end of the season sale, let me tell you they have cuuute looks on the list, vibrant colors, gorgeous patterns, dresses you can wear from day to night, the list doesn’t stop there. I have my eyes on the cute jumpsuits and rompers. And yes, summer is almost over, but I’m still getting those gorgeous swimsuits. I can wear these pieces on vacay or save them for next summer! Take a peek at some of my favorite looks that are on sale now! These are just a few of the items that you can get it now at 50% Off, and my favorites (I already added to my cart while looking through the list hehe) My Top 3 of my list is the bow dress, the cropped ruched dress and the purple one piece swimwear! I loved that these dresses you can also wear during fall and winter and the one piece, I’m obsessed with ruffles and purple is a color that looks good on everybody right? Show the end of the season clearance now at Monifc.com! Do you have an item that you’re looking forward to getting on sale? Tell me about everything you’re planning to get to add to your wardrobe in the comments!